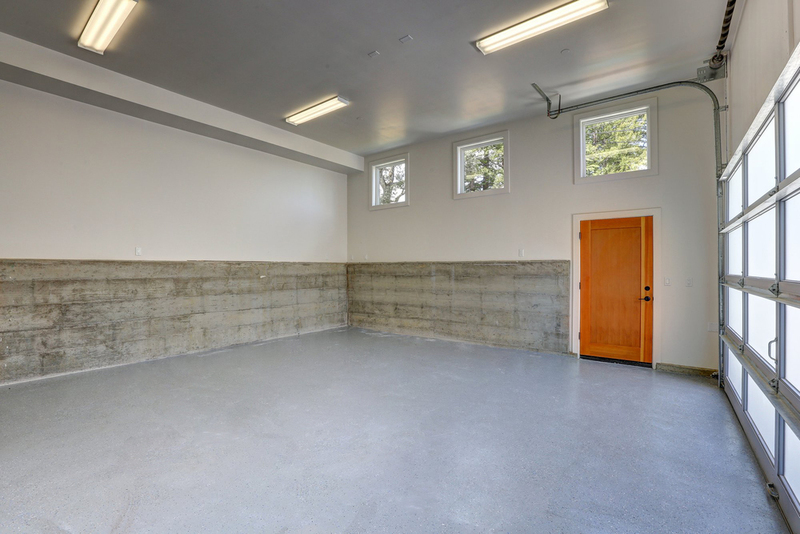 This amazing property is located in the desirable and sought-after flats of West Corte Madera! 455 Montecito was built in 2015 in a contemporary craftsman style. 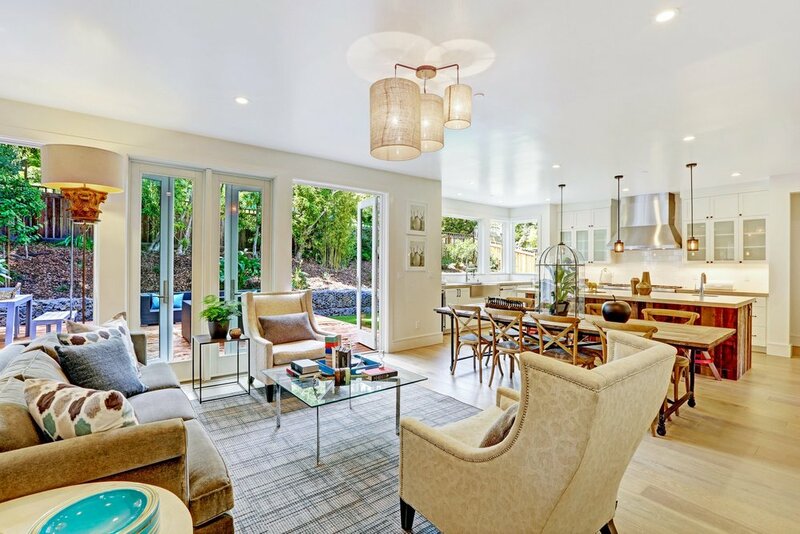 Tucked away on a private street just across from the bike path, this beautiful home is only a few blocks away from Old Town Corte Madera, award winning schools and Corte Madera’s vibrant restaurants and shops. Also nearby is Downtown Larkspur, the Corte Madera Town Center, The Village Shopping Center, parks, Highway 101, public transportation and world-class hiking/biking trails. 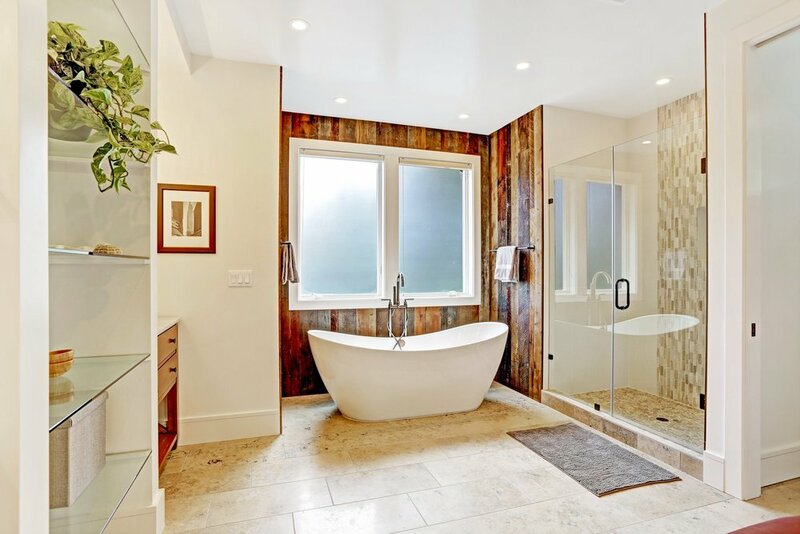 This open-concept, comfortable industrial-designed home was built using high-end finishes, custom metal railings and reclaimed wood wall accents that contribute to the homes warm, stylish design. 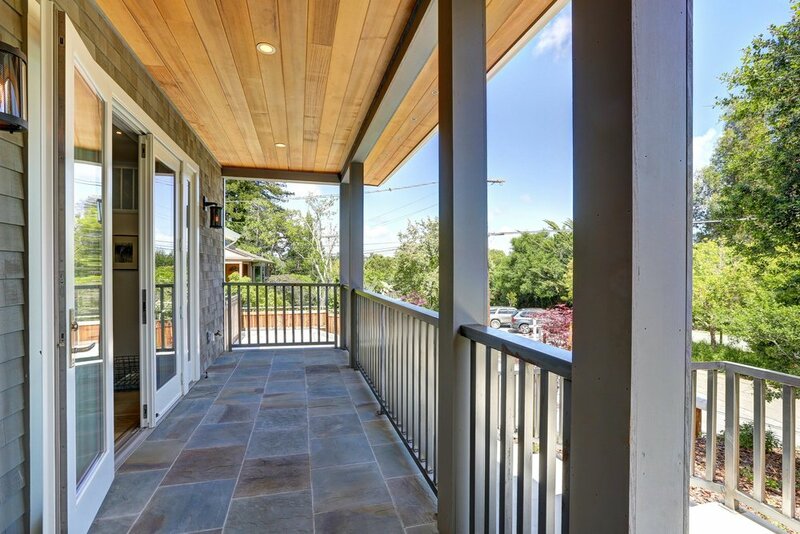 Walking up the front steps to the bluestone front porch, you are greeted with a gracious double-door formal entrance and a large front porch with a cedar-lined ceiling. Welcome your guests to a formal living room with a modern double-sided glass fireplace that can also serve as your formal dining room. 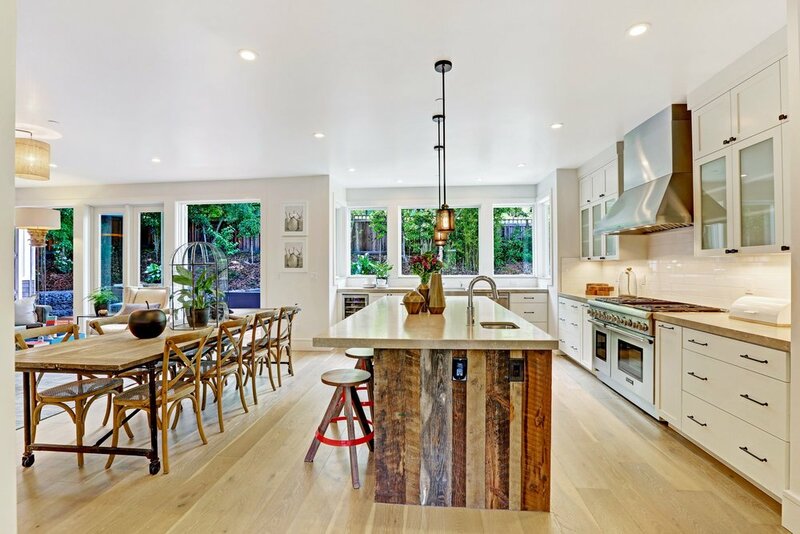 The open floor plan continues to a grand open living space with four 8’ doors that open to the backyard, wide plank oak floors and a reclaimed wood accent wall to satisfy the true design enthusiast. The heart of the home provides ample room for a comfortable family room and a beautiful informal dining space fit for numerous guests. 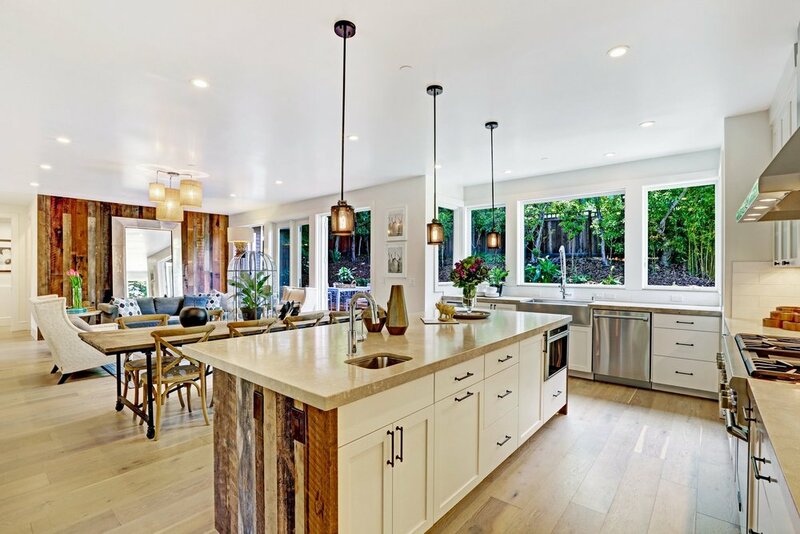 The stunning chef’s kitchen features white shaker-style cabinets, Thermador stainless steel appliances, limestone countertops, Kraus stainless farmhouse sink, Vissani 38-bottle wine refrigerator and industrial mesh pendant lights hovering over the huge 9’7”x3’4” kitchen island. 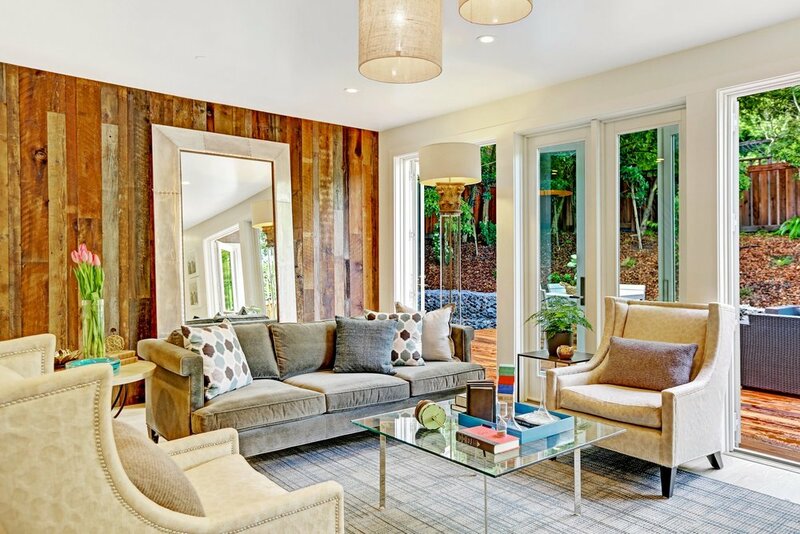 Directly off the kitchen sits a cozy den that can also be used as an informal dining space, office or lounge area with double doors to the front porch. This brightly lit space is ideal for the at-home entertainer. 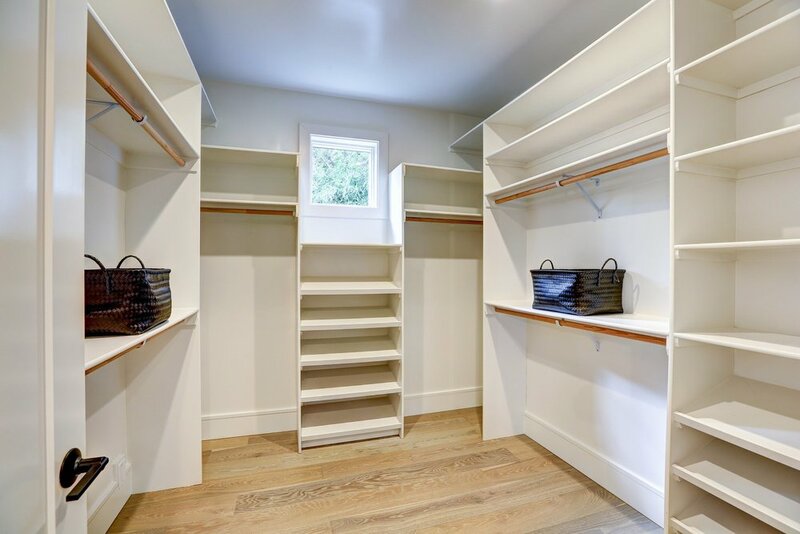 A short hallway off the family room connects the sophisticated powder room and laundry room with custom cabinetry to the grand master suite. 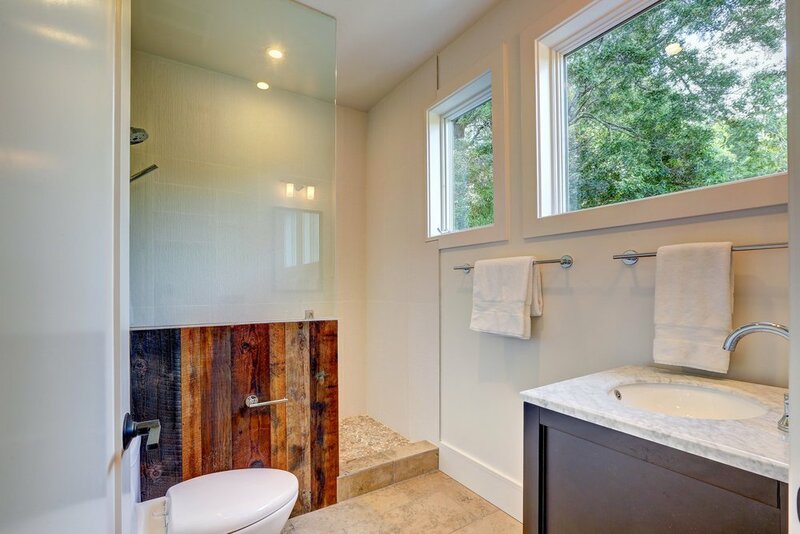 Beautifully designed with large windows, a spacious walk-in closet and a stunning spa-like master bathroom designed with Carrara marble countertops, dual sink vanities and an oversized free-standing modern porcelain tub that beautifully contrasts against another reclaimed wood wall. 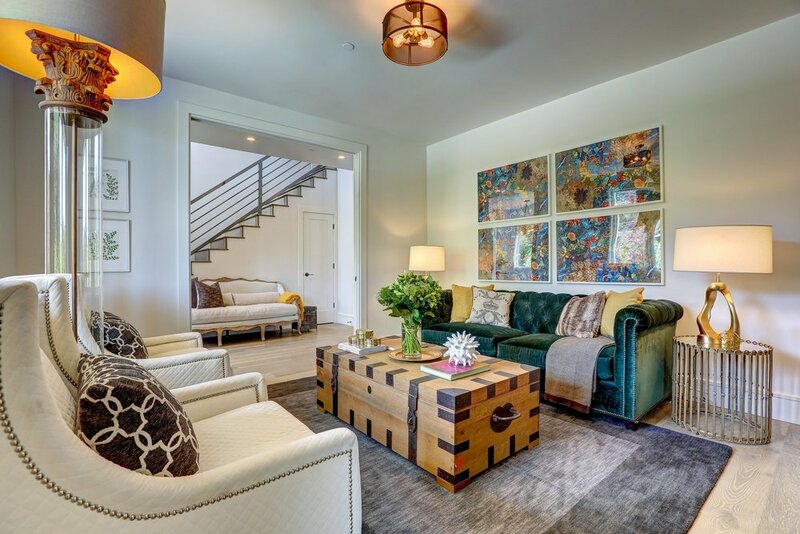 An open staircase with custom metal railings leads to the second story with 2 spacious, brightly lit rooms and a central bathroom perfect for children, teens or guests. 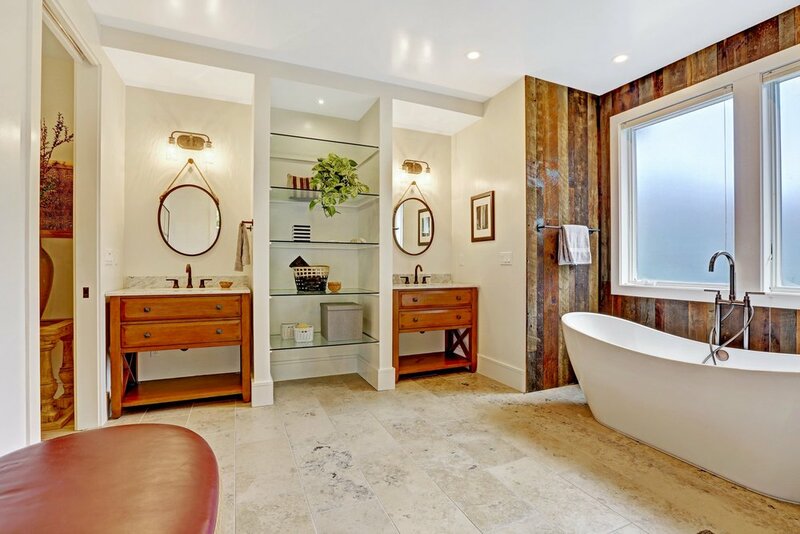 A junior master suite at the end of the hall features double door entry to a private balcony with peaceful views, a large walk in closet with custom built-ins and its own beautifully designed bathroom. 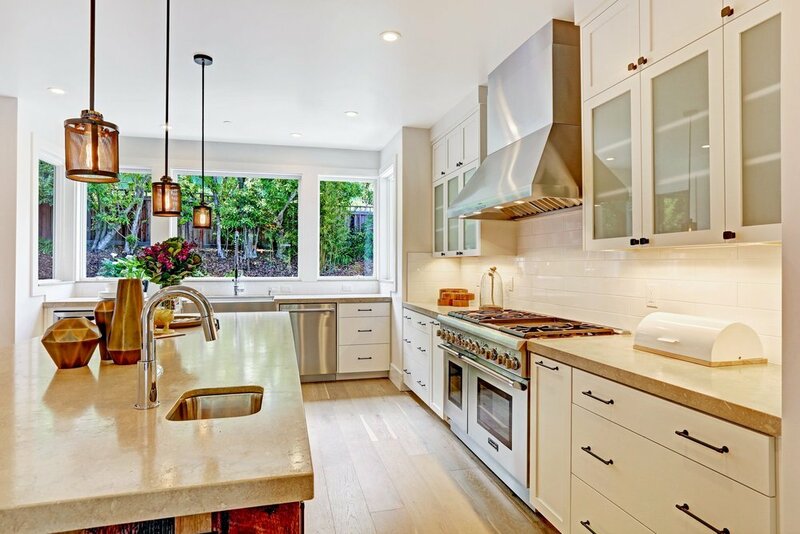 455 Montecito enjoys a large 12,928+- square foot (.29+ acre) lot (per tax records). The kitchen/family room leads directly out to a gorgeous entertaining deck that provides generous space for a large outdoor dining table and comfortable lounge area. 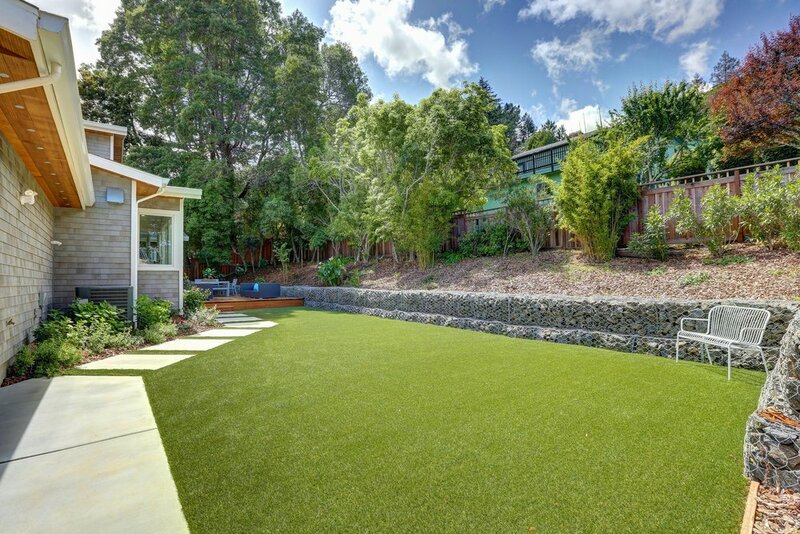 Adjacent to the deck is a large turf lawn installed for low-water efficiency and low maintenance. 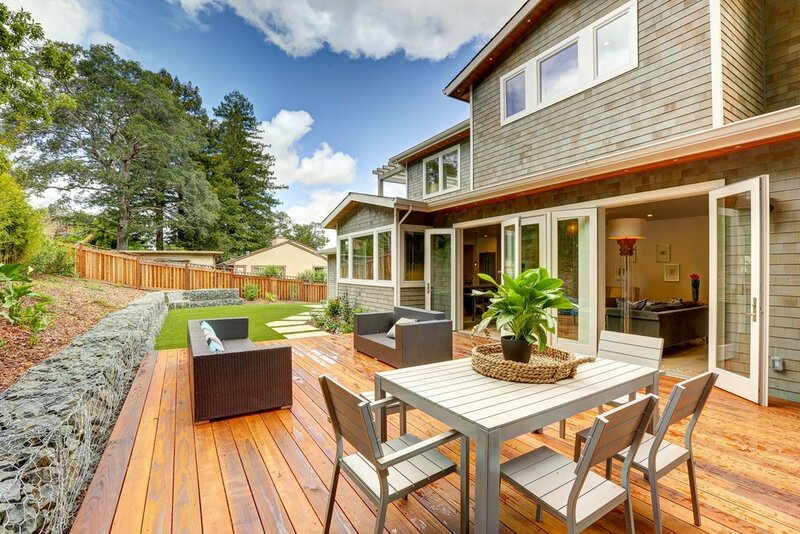 This incredible level yard provides the perfect play area for kids, outdoor games or lounge chairs to soak in the sun. 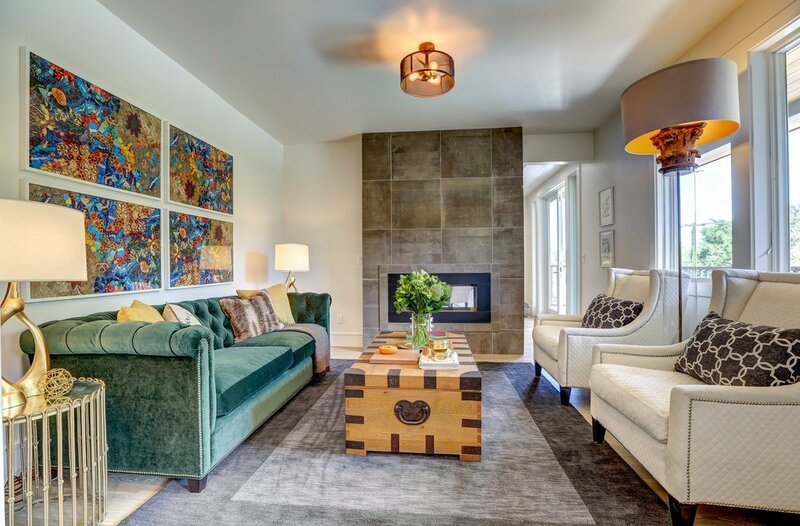 Surrounded by fresh greenery and mature trees, this in an amazing, private space to relax and entertain friends.